Tag Archive | "Manx Prime Minister"
Perhaps the greatest asset is real flexibility. 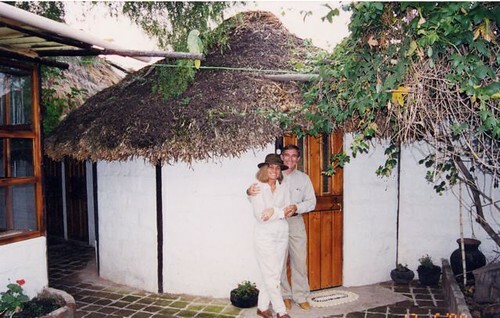 Years ago we lived in Ecuador with the Taita Yatchak. Here is a small house that his village built for us. It was covered in passion flowers! “No one knows… especially not the Yatchak” they would rely. I asked him about this once and his response was that when he was hiking around… events… signs and intuition would lead him and show where to go. He came back home when he received a sign that was a time to be back. This of course would drive us Westerners who had appointments and scheduled meetings and clocks crazy! There is nothing like bringing to meet the yatchak… and he is not around! But the Andean belief is to let nature be our guide. Beliefs in India are this way as well. I recall one sage saying that we are in perfect harmony when what nature delivers is exactly what we desire. We become one with nature… always happy… always pleased. One quote in the wonderful book “Autobiography of a Yogi” tells how during the British occupation if an enlightened Indian was brought to court and threatened with harsh punishment, he would speak the truth even when a small lie could have eliminated their penalty. This was because they knew… “if you never tell a lie… then whatever you say will be true.” Such a simple but deeply profound wisdom. Recent messages have looked at the risks of a breakdown in North American society from an EMP attack. Numerous readers expressed concern about what to do if one is not in the right place when an attack takes place. Others worried about neighbors attacking one another or people from the city invading the country. First please realize that a total breakdown such as described in the various doomsday novels using EMP as the culprit are highly unlikely. Those who suggest that the end of the world is ahead may be trying to panic the public, for whatever reason, just as many did when they promoted nuclear holocausts… Y2K… the Swine or Avian Flu… SARS etc. Yet… here we are.. humanity, alive… progressing… abundant… and I hope in a holiday mood! However there are plenty of potential shifts in the global economy and society that are cause for concern. The problem of global inflation combined with high unemployment (stagflation) created by massive debt in the US, Japan and Europe is one example. Yet problems are good once we accept the fact that problems and change create opportunity. Everyone wants a better life… yet most resist change. How can things get better without change? Merri and I conducted many real estate tours on the Isle of Man years ago… before prices skyrocketed. We were there when I published my first novel, “The 65th Octave” and the Manx Prime Minister was kind enough to write a forward for that book. Many of our readers and tour delegates still live there… having picked up great real estate bargains there in the 1990s… just as they did in Ecuador on early 200o tours. The Isle of Man (the oldest democracy in the world) is a truly wonderful place and I try to live by its motto… “Whichever way you throw me, I land on my feet.” Merri and I often look at each other in tough situations and quote this out loud! Have no doubt, society is getting thrown. Change is accelerating. So we can choose to benefit from the shifts… or not. Success, in a faster changing world, comes from “what we are”… not “what we have”. What we have stored within… not what stuff we have stored is the key to success. Many messages at this site have focused on the fact that the way to flight inflation and benefit from change is to first improve yourself… your health… your intelligence and your ability to act on what you feel (intuition) as well as what you think (your logic). Then invest in: Equities… Commodities… Your Own Business and Real Estate. Merri and I live by this belief and have invested heavily in Ecuador and Smalltown USA real estate. We work continuously at improving ourselves and our own small business. We have expanded our investments in commodities by investing in the direct ownership of timber, water and have now purchased orange groves in Florida. Merri and I currently do not hold many equities…instead we hold bonds. In the past two years, bonds have acted like equities. Plus there has been such great opportunity in business and real estate we have not had the time to study shares. However we continually look for good value equities as well. Our email courses, seminars and tours focus on these same ideas… improve yourself with quantum health and wealth. Make yourself wiser… more flexible and more adaptable as you invest in your own internet business… global multi currency investments… real estate in small town USA and Ecuador. Here is an idea for an Ecuador internet business. Integrate your intuition with your logic. Turn your passion into profit. The daughter of one of our tour delegates provides a great example. He attended a number of our conferences last year and I enjoyed watching him when he was buying goods to export from Ecuador for his daughter’s business. She turned her passion to help poor women around the world into a profitable internet business. Ecuador exports help poor Ecuadorians live better. This excerpt from a Country Living article entitled “Nesting Instinct” explains her business success. How did you start Nest? I graduated at 24 with a master’s degree in social work and I couldn’t decide what I wanted to do next. I applied to several jobs. Then one day I went to a coffee shop and just ended up listing all the things I liked on a sheet of paper and trying to come up with something that fulfilled many of my interests: working with women and children, social activism, international travel, fashion, design, art, and the “green” movement. I knew I was at a point in my life where I could take risks, so I started the business in June (two weeks after graduation), and by August was selling goods from 40 designers. We grew really fast: At our year anniversary, we had 80 designers. Nest provides micro-credit loans to women in developing nations to help them start art or craft-based businesses. Many of the societies where these women come from are patriarchal — the women’s husbands and fathers handle money, so they are reliant upon them for everything. Working with Nest helps the loan recipients ease into self-sufficiency. Our business model is unique in that we try really hard not just to be a bank; we want to help council the women, learn about their dreams and hopes and family lives. 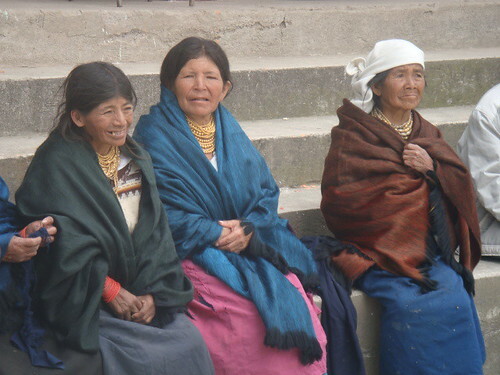 And the women are able to pay back their loans to us by selling their goods on our site. What’s the best advice you got before launching? I come from a family of entrepreneurs, so I had lots of support around me. At first, I was really stuck on the idea of having a physical boutique, but the bank denied me a loan. I told my dad what had happened. He asked me how badly I wanted to do this, and when I told him it was what I really wanted, he said then I needed to figure out a way to make it feasible. That’s when I came up with the idea to put Nest online. If you have a dream and a passion for something, you find a way to make it work. What advice can you give for someone considering starting her own business? Just to do it! There are a million reasons out there not to do it — for example, everyone thought I should get a job with a stable paycheck after grad school, but I went and started Nest anyway. I didn’t have any experience with online sales or boutiques, but you learn as you go. I realized that it’s good to have a vision, but if you look too far in the future it’s overwhelming. Instead, take one step at a time. I could not have said this better. Take it one step at a time. Be flexible and adapt…learn… grow…have fun and profit. Living, investing and serving in this way turns life into one big pleasant walkabout! We do not know what the future will bring, but history is on our side. Despite humanity’s many waves the tide has continued to rise and we can ride this uplift if we develop our greatest asset. Until next message, may all your problems be good. Learn about an Ecuador export business. Learn about global investing & business.